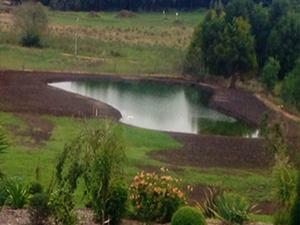 Dirt Works Plant Hire, Gippsland is experienced in all types of excavations. We are an owner-operated business located in West Gippsland, which guarantees you fast, reliable and cost effective services. We can offer laser accuracy leveling if required. 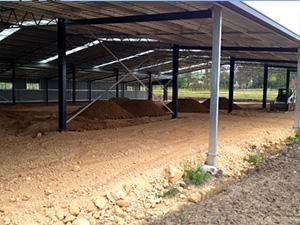 Commercial, Contracting, Industrial and Domestic excavation services across South eastern suburbs and greater Gippsland. Dirt Works Plant Hire is experienced in all types of excavations and hard landscaping. Owned and operated by a qualified Landscape Gardener, with 25 years experience. This guarantees you excellent and reliable service. Rural Properties and Hobby Farms whether you have a rural property working as a commercial farm or a hobby farm Dirt Works Plant Hire can assist you with a wide range of services including: Drive-ways, farm lane ways and tracks, drains and culverts, dam construction, creek and dam clean outs, tree removal, horse arenas and round yards, hard stand areas and shed bases, cattle yards, drainage and trenching and laser leveling and grading. Site cuts, slab preparation, trenches and footings, auger and post/holes, soil removal, leveling spreading and all general earth works. House and shed site cuts, soil removal and leveling, footing and pier holes, stump and post holes, drive-ways and hard landscaping, rock and timber retaining walls, drainage, trenching and all your general earth work needs. Got a project you need a quote for? Dirt Works Plant Hire can undertake any size project, covering all aspect of excavations including: Driveways, Auger, Shed Bases, Roller, Site Cuts, Smudge Bars, Trenches, Tipper Hire, Pool Excavations, Horse Arenas, Quarry Products, Laser Leveling, Fork Lift, Tippers, Loaders, Bobcat Hire, Graders, Dozers and Excavators.